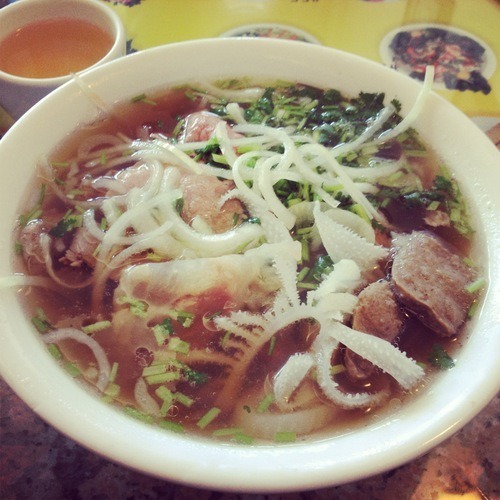 I wanted pho the other day but I felt like I’ve been going to same places in Richmond, so I decided to urbanspoon what other pho places there were in Richmond. 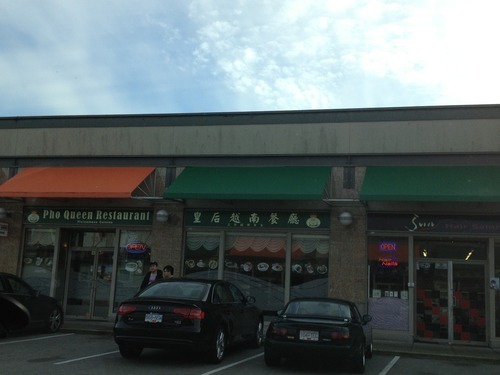 I ended up finding Pho Queen, which I’ve actually passed by multiple times but haven’t tried. The place was pretty much empty when we got there since it was an odd 3-4 p.m. time on a weekday. I believe the place is Vietnamese owned since the lady started speaking some language I couldn’t understand to me. Service here is definitely not that great. She was kind of rude actually, just throwing menus at me and all… Anyways, we were given cooked bean sprouts, which I always enjoy since I don’t like them raw. J got a large Pho Tai, which is basically noodles with rare steak in it. It had tons of cilantro and green onions and was quite a large bowl for only $7. For myself, I got a small Pho Queen Dac Biet, which is their special. I always like to try the specials during my first visit, since they include all the different ingredients. This one had rare steak, tendons, meatballs, and tripe. 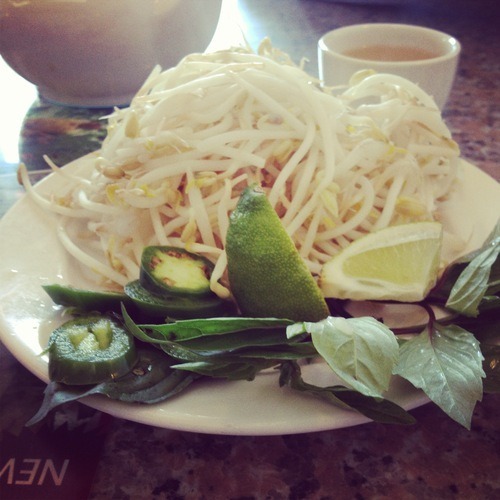 It was also topped with lots of cilantro, which I did not like. The tripe was also not cut well, so it was a huge piece and extremely difficult to chew on. The other items were decent however. I also found that the soup wasn’t that rich in beef flavour. I love the broths that are rich in flavour since you can tell they made the broth for many hours. This one seemed like it might’ve had some MSG in it. The portion for a small was still decent though. 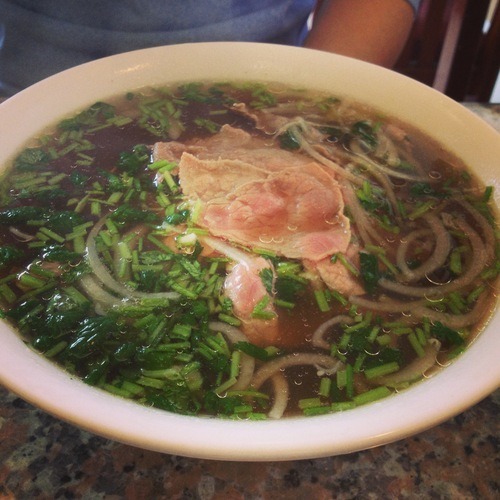 Overall, Pho Queen is decent for their prices. I would still opt for Thai Son which has better service and quality.